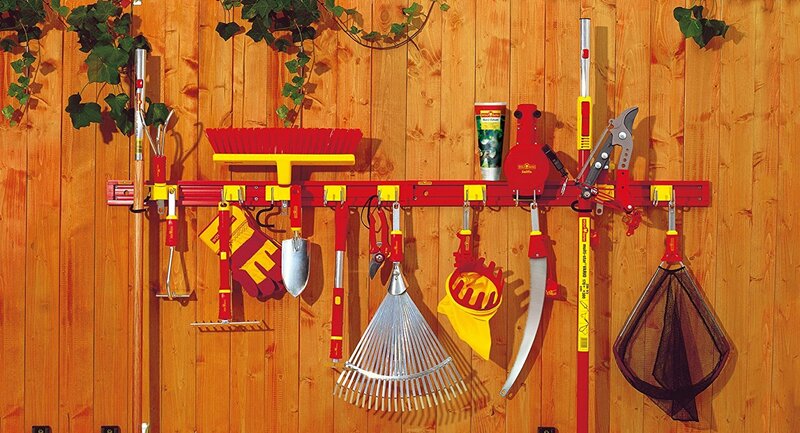 For August we've chosen the UMM as our tool of the month, the 80 cm wide WOLF-Garten UM-M tool holder creates order in the home and in the garden and comes fitted with four tool holders as standard. We think it's a fantastic addition to your collection. With the "every head fits every handle" multi-change system it makes perfect sense to use this storage rack to keep all the heads tidy. So this month we're shouting from the roof tops about the fantastic Wolf Garten Tool Holder System (UMM). It is eminently suited for space-saving storage of household and garden tools, and as it comes with screws and wall plugs, it can be installed right away.